Regardless whether or not the fake vaccines are dangerous (The Jakarta Post, July 18), their distribution by hospitals in Indonesia indicates that hospitalsâ€™ hospitality in this country has declined. Throughout this case, I wanted to answer a question: Why has this tragedy occurred while the words â€œhospitalâ€ and â€œhospitalityâ€ come from the same root-word hospes (Latin), meaning guest? I answer this question by saying that these fake vaccines suggest that hospitals in Indonesia tend to overlook the role of medicine as a form of social hospitality, or as a charitable work. Hospitals are increasingly becoming commercial realms that emphasize professionalism. I consider this overwhelming emphasis to be impersonal. I support this thought by referring to some books on medicine. In the first three chapters ofÂ Guenter B. Risseâ€™sÂ Mending Bodies, Saving Souls: A History of HospitalsÂ ( 1999 ), I found this impersonal characteristic of hospitals has been in place since 1226 when religious staffers in hospitals bartered their meager care giving and letters of indulgence for more alms and bribes. This abuse had become well-known by the early 1300s. By that time, hospitals were also known as impersonal institutions in way that, throughout Europe, hospitals did not allow too many poor people to stay for long periods of time because the poor prevented others â€œwho had a better chance to recover from being admittedâ€. Risse finds that the hospitals from 391 (AD), when Christianity became an official religion, to the year 1226, had social hospitality. During this period of time, hospital staffers implemented early Christian theology by equating their sufferings to the â€œvicissitudes of Christâ€™s brief sojourn on earthâ€. Furthermore, Risse says that this vision taught Christians a mutual love between God and humans, and energized all actions aimed at assisting others. Here, Risse illustrates that Christians during that period of time (391 to 1226) created establishments to shelter and feed the poor and slaves, to care for the sick, to assist widows and aged people and to raise orphans. Some examples of these establishments are hostels, special shelters orvaletudinariaÂ for civilians and soldiers, monasteries, infirmaries (special rooms for sick monks in monasteries), and nosokomeia (sick houses). Late in that period, the term â€œhospitalâ€ began to be used openly after the Christians succeeded in capturing Jerusalem in the first crusade in 1099. There, they built up St. Johnâ€™s Hospital, which signified their destiny and â€œChristâ€™s own good worksâ€ for all mankind. This hospital was primarily devoted to Christian pilgrims, but Jews and Muslims were also being treated at this hospital. Hospitalsâ€™ social activities from 391 to 1226 were different not only from the hospitalsâ€™ impersonal activities, as I stated earlier, but also from the personal character of healing during the ancient Greek period. Among the Greeks, the healer only provided health advice, not direct contact with the sick. Risse finds that this period went on from the 5th century BC to 391 AD Risse calls traditional healing during this period â€œtemple cultureâ€ that became prominent from the 9th century BC onwards. He explains these terms by giving us an example of a temple of Asclepius, a Greek healing god in the 5th century BC Visitors asked this god for health, through a priest as a mediator, in some form of ritual, such as worshipping him while giving him an offering. In turn, Asclepius gave them his personal hospitality. Risseâ€™s chronological explanation of the origins and evolution of the hospital clarifies two other books that I read: Shumanâ€™s and Meadorâ€™sÂ Heal ThyselfÂ ( 2004 ) and Glucklichâ€™s Sacred Pain ( 2001 ). Risse found the early Christian theology and connected it historically to the social hospitality in the early Christian hospitals. This connection helps me understand a suggestion by Shuman and Meador. They recommend maintaining a Thomas Aquinas misericordia in medicine. This term refers to an axiomatic notion of â€œGodâ€™s particular self-revelation in historyâ€. This means that in every aspect of life, including health and sickness, we should belong to God and to one another. This was evident in the social hospitality of early Christianity described by Risse: caring rather than emphasizing money. Risseâ€™s explanation of suffering has helped me better understand Glucklichâ€™s notion of self-hurting. Glucklich said that as long as medicine was attached to religious belief, the believer tolerated the pain. After reading Risseâ€™s historical explanation, I understood this principle as applied to the ancient Greeks and early Christians. Under this principle, suffering was considered to be good treatment not only for the body, but also for the soul. In sum, Risseâ€™s historical explanation of hospitals in the West has led me to arrive at two points. First, during the period of social hospitals from 391 to 1226, early Christians tolerated the pain and liberated the poor people. Second, during the period of impersonal hospitals from 1226 to the present, Christians could not take the pain and disregarded the poor. This second point prevails in the fake vaccine case in Indonesia. Hospitals in Indonesia should adopt the Christian theology of social hospitality in treating their patients. 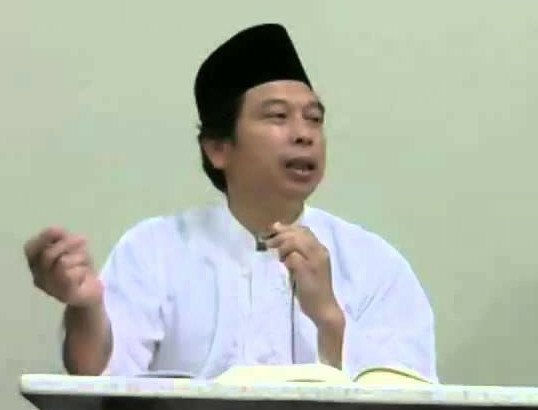 The writer, who obtained his PhD in religious studies from the School of Anthropology/Social Sciences at Monash University, Australia, is a lecturer at the State Islamic University (UIN), South Tangerang, Banten.